Aomawa Shields is a scientist, actor and TED Fellow. Through her organization Rising Stargirls, she teaches astronomy to middle school girls using theater, writing and visual arts. Below, she talks about how educators can combine art and science to inspire the next generation of astronomers. You’re an actor as well as an astrobiologist. Those are two extremely time-consuming and all-absorbing disciplines. How did you pull that off? I deferred from the astrophysics program and went to UCLA for theatre — and the whole world opened up. Acting felt like playtime, because they were having us do things like find a favorite poem and bring it in to share with the class — and then act it out. But after receiving my acting degree, I realized I missed astronomy. I didn’t want to hear about discoveries on the TV news with everyone else — I wanted to be part of it. Science television really seemed to put both of my worlds — acting and astronomy — together. So I took the leap and went back for my astrophysics PhD at the University of Washington. 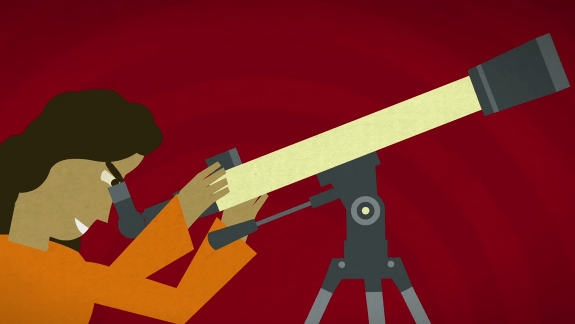 Watch this TED-Ed Lesson series on science and technology. This post is adapted from a longer interview on TED Blog. do you have ideas or lesson plans to share on integrating art and astronomy. I teach science, 4th, 5th and 6th at an arts integrated charter school in Visalia, CA. I also teach a middle school GATE class and my topic currently is the Art of Mathematics. I will look at your workshop listing as well.